If you are interested in the history of Britain as well as some of our amazing architecture then places such as Dalemain Historic house, Shap Abbey and Eskdale mill may take your fancy. There are plenty of historical buildings throughout the lake district, all with fascinating pasts and amazing interiors or grounds for you to explore. You may even find one where you can stay. There will certainly be plenty of holiday accommodation to rent in Cumbria. Find good quality holiday homes to rent for a trip to the Lake District. 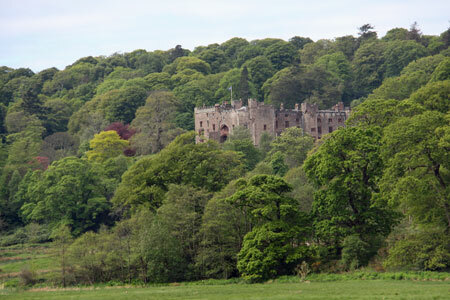 For example Muncaster Castle in the west of the Lake district has grown from a medieval fortified tower-house or ‘pele’ Tower, with much development up to the late 19th century. There is a interesting story behind the building as when Henry VI stayed here during the war of the roses he left behind a glass drinking bowl, stating that if it was still in tact, the penningtons who now own the property, would thrive. The dish still remains unbroken and is known as a good luck charm in Muncaster. Another interesting attraction in the Lake district is the Remains of the Roman baths at Ravenglass. It is said that 1,000 strong garrison used to come here to scrub up and is now one of the best preserved Roman military bathhouses in Britain with walls still standing 4 metres high. Eskdale mill is also an amazing historical building, first documented in 1578, Eskdale mill is now the oldest working corn mill in Britain and well worth a visit whilst on your holidays. Other than amazing feats of architecture and interesting historical buildings, there is plenty of other fantastic places to visit, such as the old mines. Myers head lead mine is a small mine that was worked for less than 10 years in the 1870’s until it was flooded. However because it has not been worked very hard it is also very well preserved, you can see down into the pit which once housed a massive water wheel and also the stone pillars which supported the wooden ‘launder’ or chute which carried the water to the wheel. Another old mine that’s worth a visit is Force Crag Mine in the North of the Lake district, as the last working metal mine in the area up until 1991 this makes a fantastic sight. Coniston valley is also home to ruins of many copper mines, starting in 1600 these mines eventually became the most profitable mines in the north but as the copper prices fell in the late 19 century so did the mines. The ruins that are left are truly a amazing sight. Also to be found in the area are standing stone sites, these include Castlerigg stone circle, Cockpitt stone circle, Burnmoor stone circles and Swinside stone circle. These are very dramatic sites to visit and are well worth a visit, with Castlerigg stone circle made of 38 stones standing at around 3 metres high in some places you will be awestruck by the sight you behold. The stone circle is around 5,000 years old and is classed as one of Britains earliest. Cockpit stone circle is 27 metres wide with large stones set in an inner circle. Like with all stone circles its purpose is unknown and it is predicted that it was probably used for rituals or gatherings. Finally a great site found within the central Lake district with such an interesting past to it is the Copt Howe Rock carvings. This is such a mysterious place to visit, up to 6,000 years old and consisting of a combination of lines, circles, ‘cup’ marks and small hollows as well as other strange shapes, archaeologists believe that the drawings were a way of showing links between people and important places. 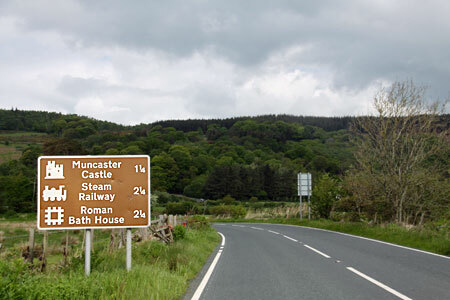 So with so much to visit and see as well as do, it is becoming clear that the Lake district really is a wonderful place to spend a self-catering country cottage holiday, whether you want to relax and enjoy what nature has to offer or have an energy fueled trip, there is something for everyone. The places mentioned above are just an example of some of the amazing places to visit in the area, you can discover many more once your there. Why not sit down once you arrive in your cosy countryside cottage and plan a active or relaxing historical trip?